“UFC Presents Jon Jones: In the Moment” debuts tonight on Spike TV at 11PM ET/PT. Tonight’s show is produced in near real time, from the subject’s point-of-view. There will be no narration. 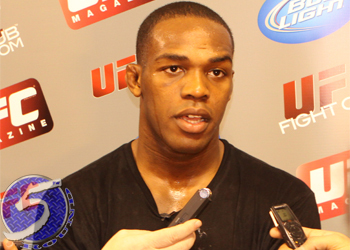 “UFC 128: Shogun vs. Jones” airs Saturday on pay-per-view at 10PM ET/ 7PM PT.